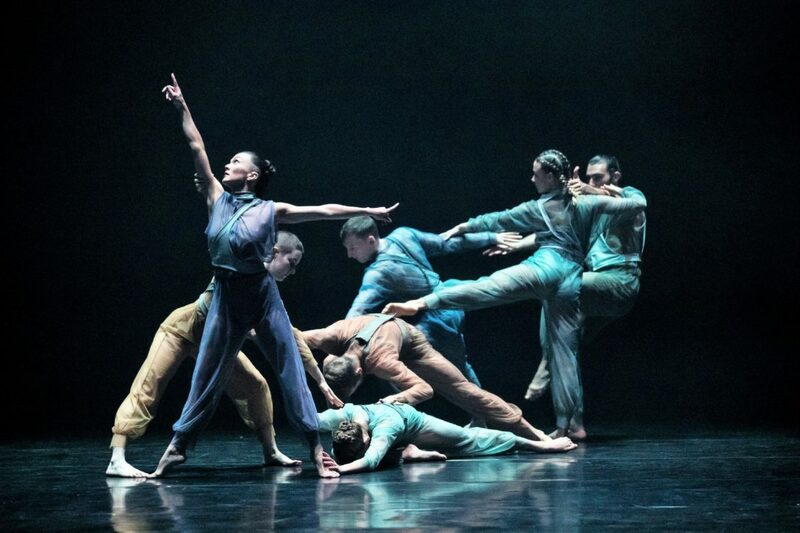 The latest program from Sydney Dance Company—a double bill with the title Untamed—showed once again what a high energy, physically accomplished company Sydney Dance is. Gabrielle Nankivell’s Wildebeest opened the evening and opened it in an extraordinary manner with a solo from Bernhard Knauer. ‘The wildebeest as image morphs easily between living animal and fanciful creature’ writes choreographer Nankivell in her program note and Knauer was given movements that were eccentric, idiosyncratic, half human, half beast. The wildebeest was never quite sure of his true nature (or her nature as the case may be since Knauer alternates in the role with Juliette Barton). But the animal struggles to be born into the world with a shudder and a shake and often a kind of liquid movement within those animal limbs. From the opening solo the work proceeds through a series of further solos, duets, trios and quartets and, against the pack-like, wild and wilful movements, a certain vulnerability creeps in at times when small, intricate movements of the head, hands, fingers and other extremities of the body become visible. Then there are sections where the entire cast moves in a mechanical fashion, like clockwork. And yet, within these sections, we often see a single dancer moving erratically through the order like a misfit in an ordered world. A powerful duet from Todd Sutherland and Holly Doyle had antagonistic overtones while Janessa Dufty stood out throughout the work, especially in her closing solo. For better or worse we have become accustomed to dark lighting of contemporary dance these days but, for once, Wildebeest’s gloomy lighting (by Benjamin Cisterne), which was punctuated by sudden, sharp, completely unexpected flashes of brightness, was appropriate to the theme of the work. I was lucky, however, to be sitting quite close to the action so I’m not sure how the gloom looked from further back. A soundscape by Luke Smiles rode beautifully with the action. Its sounds were often as startling and unexpected as the movement but, like the lighting, totally appropriate for the nature of the work. Smiles and Nankivell have been working together for several years now and their understanding of each other’s work was clearly evident. 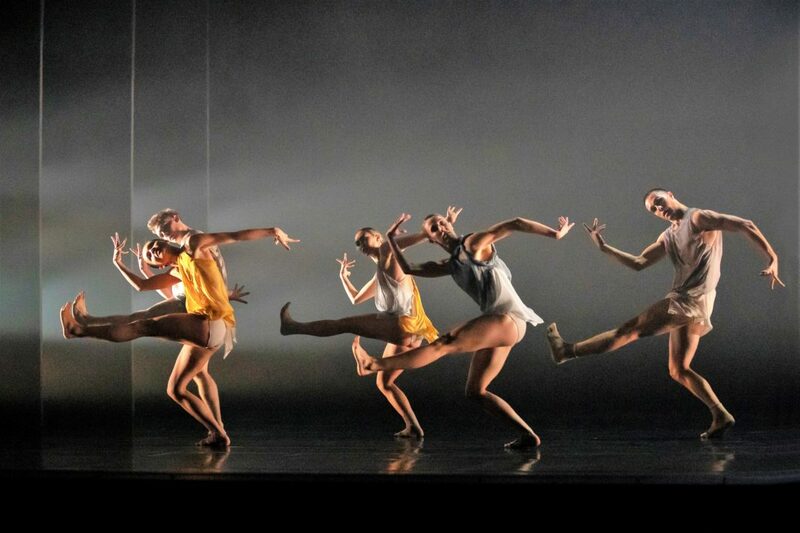 I admired Fiona Holley’s simple, easy-flowing, red earth coloured costumes. After the extremes and idiosyncracies of Wildebeest, the second work on the program, Rafael Bonachela’s new work, Anima, had something of a romantic feel to it. True, its choreography was highly physical and without a narrative line in the manner we have come to expect from Bonachela. But along with the extended limbs, the partnering involving turning, twisting bodies being flung about, and the fast and thrilling movement around the stage, there were moments that were thoughtful in nature, when a humanistic approach seemed to surface. Anima opened strongly with a duet between Juliette Barton and Izzac Carroll, which in particular showed off Barton’s delicious, long-limbed extensions and her absolute control of every movement. But at the heart of Anima is a male duet, long and intimate, although punctuated by occasional tension, between Cass Mortimer Eipper and Petros Treklis. The male duet has become something of a signature element for Bonachela and this one, which required huge stamina and body strength from Eipper and Treklis, was filled with exceptional moments when we had to ponder at the nature of the relationship between the two protagonists. Group sections broke up the focus on duets, trios and quartets and Sydney Dance Company dancers have a remarkable facility for unison dancing, which always surprises me given the speed at which the dancers are usually asked to move in such sections and the individual qualities Bonachela’s dancers always display in their work. Bonachela’s group sections give me a shiver of excitement. Anima was greeted with tumultuous applause. People stood, a few left their seats and rushed towards the stage, while the dancers taking their bows could not hide their pleasure at this response. But of the two works Wildebeest was, for me, the more thrilling, more creative, more satisfying work. This review was originally published on DanceTabs at this link. Those who were lucky enough to see this show on opening night were, I feel sure, taken by the colourful T-shirt worn by Bonachela as he took a curtain call with his collaborators. The message on it read: Say ‘I do’ Down Under.